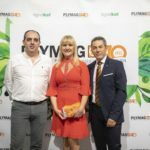 This year, 2018, is very special for Plymag, , a leading fertiliser company, because they are celebrating their fortieth anniversary in the agricultural sector, making the most of their customers’ crops with the best products: stimulants, bio-nutrients, special fertilizers, deficiency correctors… a wide range due to constant research and effort to improve every day. To celebrate, on 4 October a Plymag 40th Anniversary event was celebrated. Both company employees and many national and international clients attended. 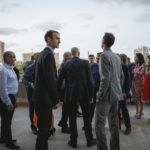 Clients from countries such as Egypt, Germany or Romania were present, and national clients from all over Spain attended, such as clients from La Rioja, , Catalonia or Andalusia. 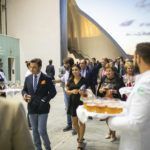 The 140 attendees enjoyed an evening in the hall at the Palau de les Arts de Valencia, one of the buildings constructed by the renowned architect Santiago Calatrava, that houses the Opera theatre and forms part of the City of Arts and Sciences architectural complex. 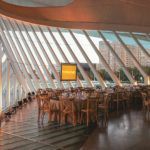 A space that, thanks to its spectacular windows, offers the best views of the City of Arts and Sciences. Thanks to the spectacular surroundings, the attendees were able to enjoy watching the sunset from this extremely iconic location in Valencia. The entire hall was lit up with spotlights that projected Plymag’s orange company colour. Thus, the cutting edge architecture stood out, providing an even more special and completely personalised atmosphere for the company. The guests were impressed with the setup and uniqueness of the space. The event video was created by Otto Films, the new audiovisual producer that forms part of Lifting Group. A series of clips with careful shots and details that perfectly transmit the journey and effort involved in forty years of teamwork, growth and innovation.